Installing LED lighting around your property is a great way to save some money on your electrical bills. The reason is that LEDs siphon less power than their traditional light bulb counterparts, and all the benefits go to you. Having automatic exterior LED lights is even more beneficial, as they are cost-saving and convenient. If you are still on the fence about getting them, here are the best ways to install sensors and the benefits you can reap. The main thing to bear in mind with your sensor is that you want it positioned on the north side of your building. The reason for this is that you want it to be balanced with the arc of the sun. Installing the sensor west will cause the lights to turn on and off later than recommended. Installing the sensor east causes the lights to turn on and off earlier than you want. More than anything else, you really do not want your LED sensors to face south. This is because a south-facing sensor will receive the greatest amount of sunlight. If you are not careful, the circuitry within the lights can prematurely burn out, forcing you to get new lights sooner than you were anticipating. If you truly cannot face the sensor directly north, then try to have it as close to north as possible. Facing it northwest and northeast will work just fine. Why Make the Upgrade to LED Sensors? These lights are great for people who want to reduce their building’s energy consumption. Many people have a bad habit of leaving outdoor lights on during the day because they simply forgot to flip the switch. With these sensors, your lights turn off and on automatically, so there is nothing for you to worry about. 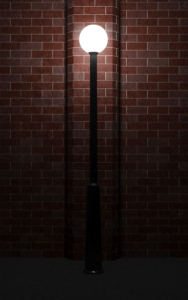 These lights are also great for people interested in getting a little more security around their building. Automatic lights deter trespassers by startling them and preventing them from taking advantage of the dark. Finally, the last advantage to be gained is the fact that these can be installed anywhere you want. Obviously, you would not want any of them facing south, but aside from that, they work great anywhere. You can install one over a garage, have one looking over a yard or put one overseeing the driveway. The possibilities are endless. Installing LED sensors around your property is a worthwhile investment if you are serious about having a greener building. A few changes to the lighting can really make all the difference. Learn more about why LED is great for your building by calling NCLED at 920-455-8338.